Blog posts tagged "low glycemic"
High fructose corn syrup (HFCS) is a sweetener obtained from corn. Recently the corn industry has pushed to have high fructose corn syrup relabeled corn sugar. The attempts have failed and the attempt was made because people have a negative view of HFCS. And rightly so as HFCS can and does easily upset most people's blood sugar levels. When our blood sugar becomes imbalanced we can feel irritable, lethargic, foggy, tired and unfocused. And in the long run this imbalance can lead to a host of health conditions such as diabetes. But there is another hidden danger to HFCS that most people are unaware of . . .
HFCS contains mercury at a rate of up to 0.570 micrograms per gram of syrup. *1 While the rate of 0.570 micrograms per gram may not seem like a lot. It is when you consider that most people consume 50 grams of HFCS a day. And, HFCS is ubiquitous, so you must read nutrition labels for everything because it is in foods you wouldn't think. Now, you may be wondering why mercury is found in corn syrup. This is because in the processing of corn to HFCS mercury is involved. The threat of mercury toxicity is just one more reason to steer clear of this unhealthy sweetener. flower buds hanging from the heart of coconut trees. 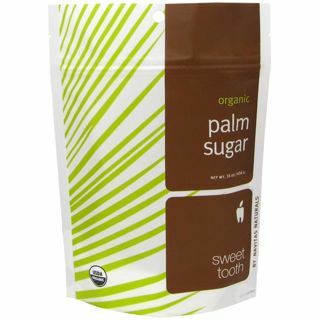 Palm sugar is traditionally hand-harvested in the canopy of Indonesian coconut groves where farmers have harvested the nectar from coconut palm trees for herbal medicine and food for centuries. 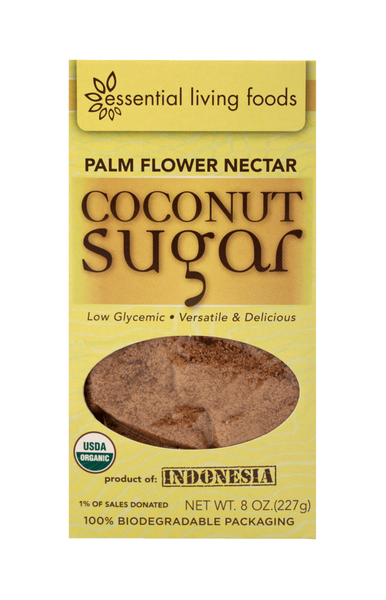 Coconut sugar is unrefined and has a low glycemic index. unbleached, unfiltered and free of preservatives. of tea or as a recipe substitute for ordinary sugar. And, most corn is genetically modified! Read about the French study on GM corn fed to rats. Shocking! We feel it is important to understand the ramifications of our food choices on our health and on the health of the planet. Growing corn requires a vast amount of resources including a staggering amount of water, fertilizer and land. And, if corn was not subsidized by the government corn and corn products would be priced out of the market. Another harrowing fact is most corn is genetically modified, which is just another reason to stay away from corn and corn products. Be well be wise and make good food choice that sustain you and the planet.